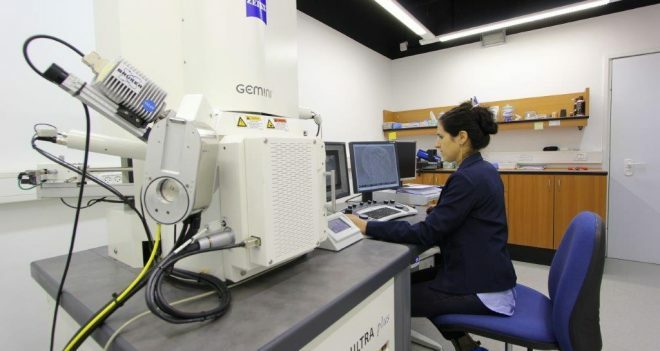 The Technion Center for Electron Microscopy of Soft Matter includes two TEMs and a high-resolution SEM. All microscopes are cryo-dedicated, for cryo-TEM and cryo-SEM experiments, and are also available for room temperature work. The newly arrived Talos, is a FEG equipped high resolution TEM and includes a Falcon direct detector for high resolution imaging at low dose mode and a Volta phase plates for contrast enhancement. In addition, the Talos is also available for STEM imaging and for 3D characterization using TEM and STEM tomography. Advanced cryo-specimen preparation equipment is available, including equipment for freeze-fracture replication (FFR) and cryo-microtomy.